We all know that the holidays can be stressful. Between negotiating who’s hosting Thanksgiving and the endless holiday events and figuring out what to wear in holiday photos, it is easy to become overwhelmed very, very quickly. That’s why we decided to compile a list of fabulous local vendors; not only is our goal to encourage you to shop NOLA this holiday season, but we’re hoping that it will help you cross at least one person off your “to buy for” list. 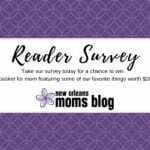 In order to participate, New Orleans Moms Blog required all vendors to provide a product for us to review (if we were not already familiar from previous reviews/giveaways) because it is important to us that we have firsthand experience with companies and products before we recommend them to our readers. Vendors were also required to provide a product to give away. Beyond complimentary products, we received no compensation for this post and all opinions expressed here are our own. Who doesn’t love adorable holiday clothes? Whether you’re shopping for your own little ones or need to come up with a unique gift, we love Lisey Lu, Nolafionnah and Two Sprouts for their original designs. Below is a list of gift ideas that will last long after the wrapping paper and egg nog are gone. 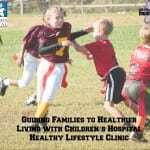 These gifts endure for months to come and are sure to please the entire family! We all have someone on our holiday list that is either hard to please or already has everything. Or, perhaps it’s someone that you don’t know very well and are unsure what to get. Below are a few ideas for you; you may even consider picking some of these up to have on hand just in case you forget someone at the last minute! This category is all about us! If you need to drop some hints to your husband, just copy and paste this section into an email. And men say that we’re hard to shop for? We are pretty confident that a few hours away from the kids, dinner delivery and jewelry would do the trick! If you’re anything like us, before there was baby there was a furry friend who ruled the roost. 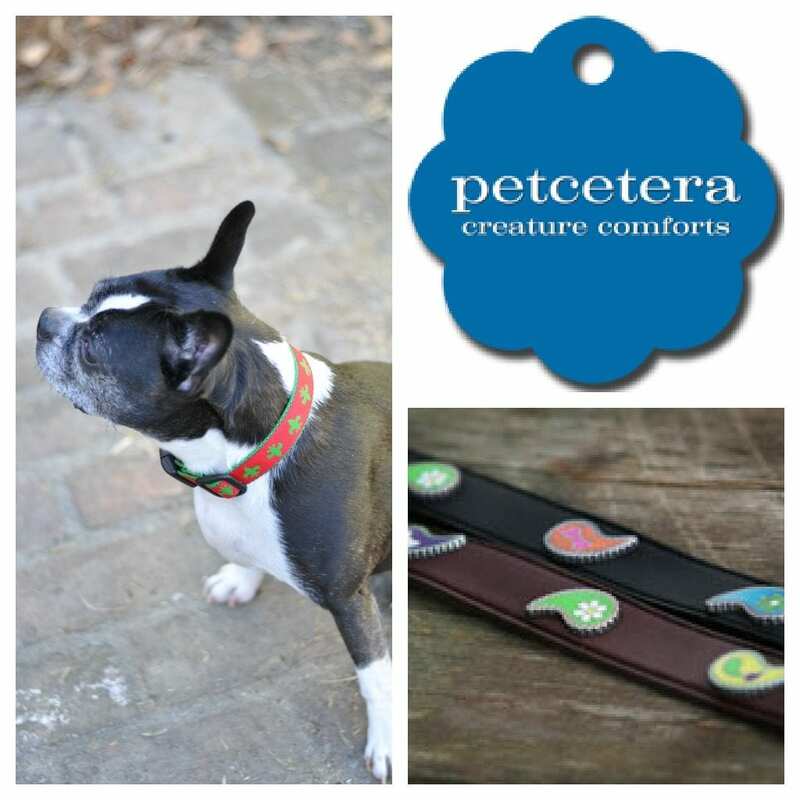 Don’t forget about your favorite four-legged friends this holiday season! It’s always fun to treat them to something special, too! Sugar and spice and everything nice: that’s what little girls are made of! We know that it’s not terribly hard to find cute items for little girls (if anything, it’s the opposite!) but keep your money local this year with these amazing vendors. We know that you can order toys from Amazon.com or Wal-Mart (and probably get some great deals like Northshore Mama posts about!) 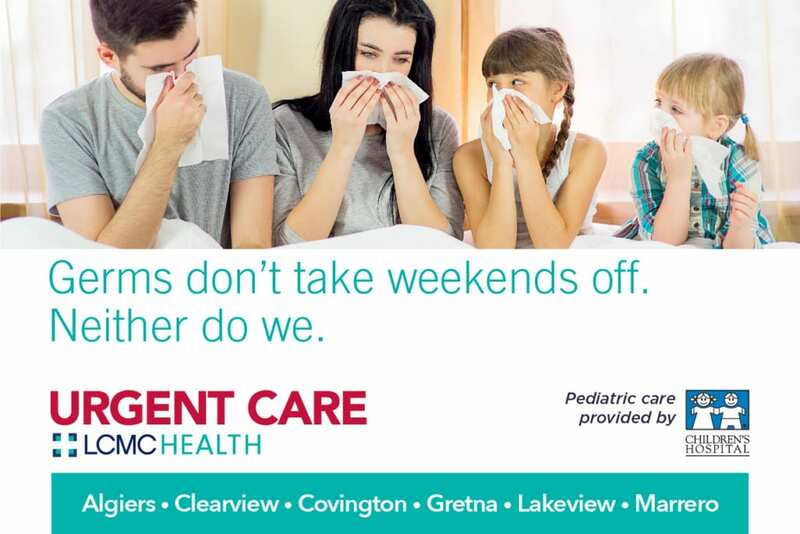 but we urge you to also consider local options, too. 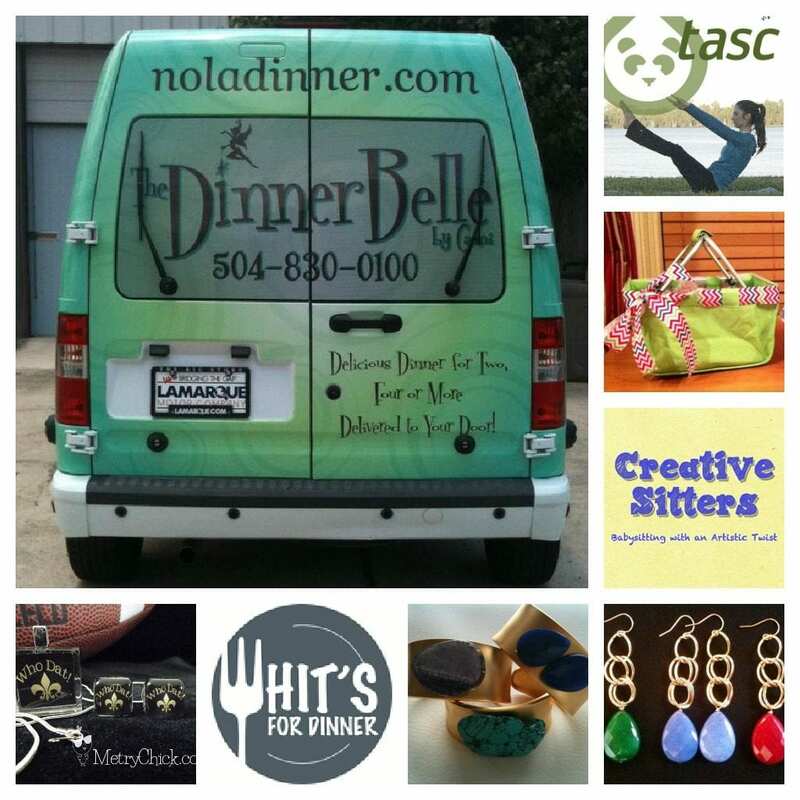 While it takes a little more effort to travel to a small business in person or work with a busy mom to customize your order, at least you know that your money is staying right here in the greater New Orleans area. As we hope you’ve seen on Facebook, we’ve set a goal of reaching 2,000 fans before the holidays, and we’d love your help in getting there! 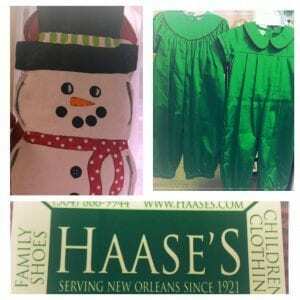 If we can do it, Haase’s, a New Orleans icon, will be giving away a holiday door hanger, holiday outfit, gift card OR diaper bag – it’s the winner’s choice! 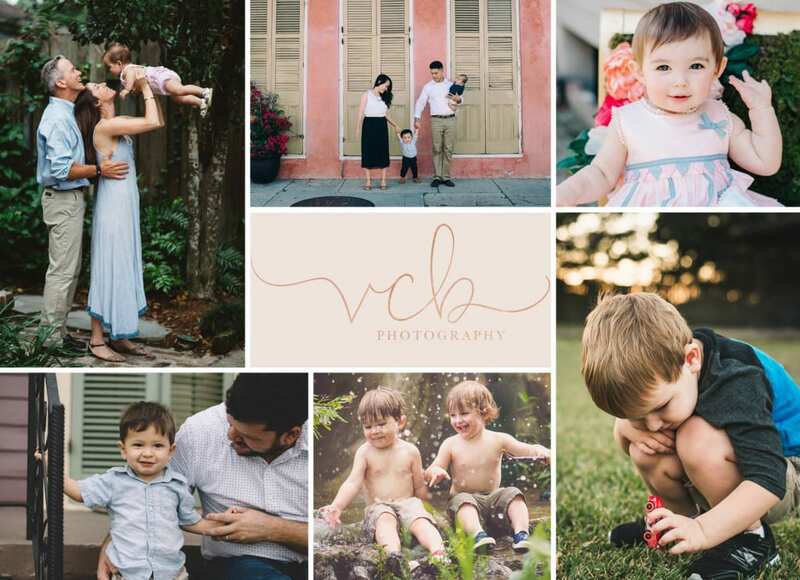 So we humbly ask for your help in spreading the word about New Orleans Moms Blog and everything we’re up to over here! 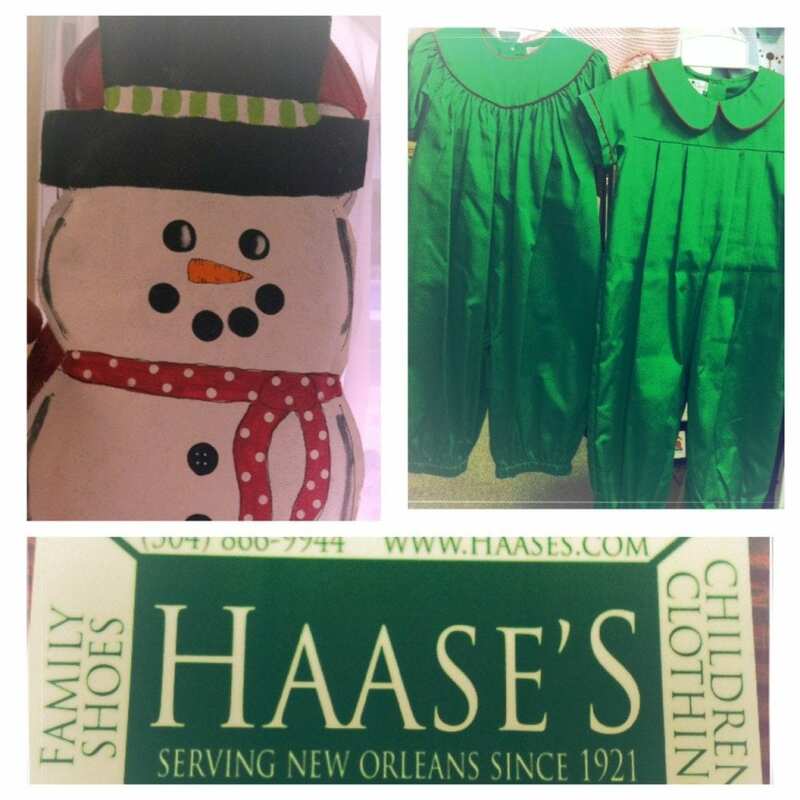 Haase’s is a great resource not only for your children’s shoes but also for gifts; they offer monogramming, a toy section and more – stop in to the store on Oak Street and see what they have to offer! 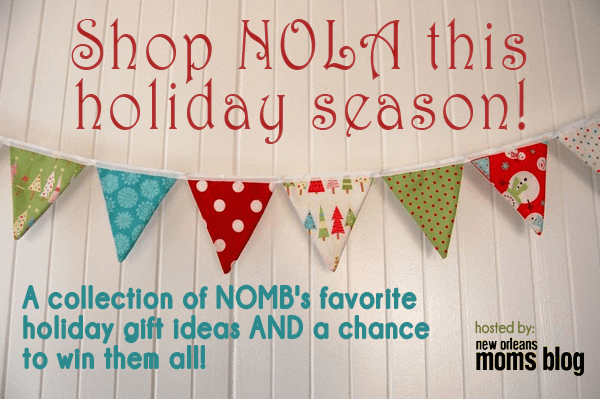 193 Responses to Shop NOLA: Our Favorite Holiday Gift Ideas & Giveaway! Love the two sprouts christmas alligator shirt! 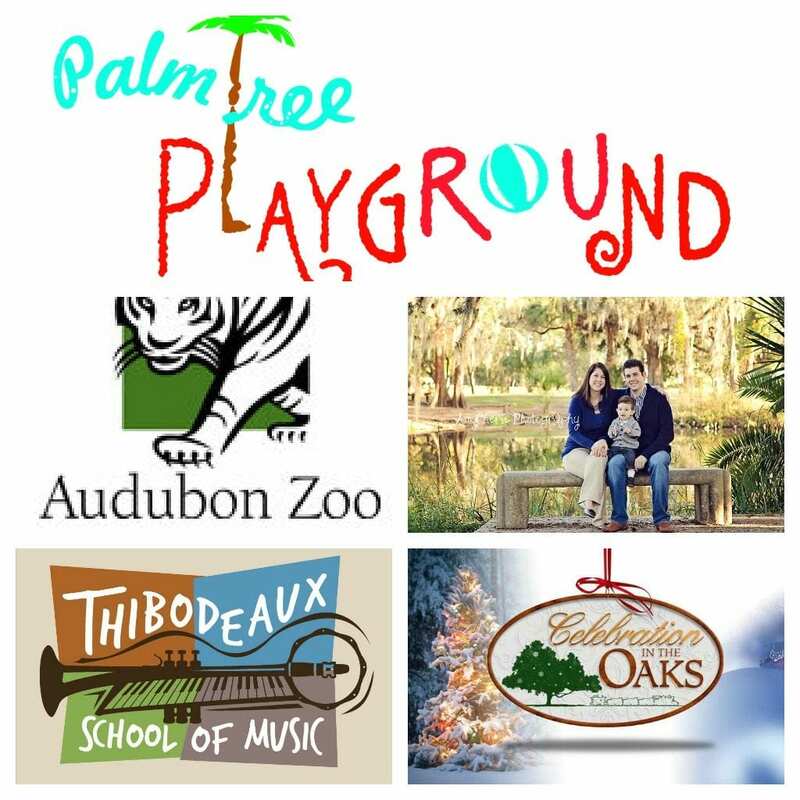 We love the zoo but we are really excited about the opening of the Palm Tree Playground! Can’t wait to try it. My go to gift for a difficult friend or family member is a personalized stamp. My Christmas list is kind of short this year : good health, safe travels, and time with family. My favorite activity around New Orleans has to be going to the movies with all my nieces and nephews they llove seeing all the cartoon movies. Then after that i love going to Christmas in the Oaks because Christmas always makes me smile and not to mention I’m really low on funds this Christmas cause my tuition at college got increased this year! I like the Lisey Lu LSU Cheerleader T-Shirt..cute! I’m busy like all moms and don’t have time to discover new shops. Thanks for setting this up. i have always loved A Christmas Story..classic! Favorite toy would be my sister and my barbie jeep! We love the zoo the best, but I am really excited to check out the new Palm playground! I LOVE the Two Sprouts alligator shirt! “Merry Christmas Y’all” is way too cute! Our favorite activity as a family is to go to the Audubon Zoo, especially during the summer! My 4 year old loves Cool Zoo! My go to gift is New Orleans styled kitchen towels and/or stationary. ALWAYS a hit! On my list is new perfume and some jewelry! The best gift I received when I was pregnant with my first son was a prenatal massage. It was heavenly! The toy I remember dreaming of getting when I was little was Teddy Ruxpin! LOVE, LOVE, LOVE Lisey Lu’s elf on the shelf… + everything else she has! This year I am hoping to get a chance to take my kiddos to Celebration in the Oaks. A great family outing before the hubby deploys right after New Years. The NOLA Fionnah pink Christmas dress is absolutely adorable! My favorite family activity around NOLA is strolling through Audubon Park and feeding the ducks. love the nutcracker bows for Yeaux, Yeaux Bows! Too cute! Hard to shop for friends and family members receive unique picture frames with an adorable picture of the kids, a bottle of wine, or a personalized coffee mug or tumbler. favorite toy that i had to have was a Cabbage Patch kid! New white servingware to showcase the delicious treats I make is on the top of my list this year. My favorite gift as an expecting mother was a prenatal massage – heaven! The one special toy I had to have as a child was a homemade teddy bear from my grandmother. My favorite family activity in New Orleans is going to the zoo! Love it! One of the best gifts I recieved as an expecting mom was a pamper kit just for me! It had a bunch of oils, moisterizers and bath stuff and it came from Aveda, so it smelled so yummy! My families favorite activity is going to the Zoo and feeding the ducks at City Park. As a mom, on my xmas wishlist…is some money for the vacation I am taking January!!! I have a furry friend to shop for this year! My pug dog Abby is 7 and each year I get her a new collar for xmas! I LOVE the alligator xmas shirt by 2 Sprouts! I had to have an Easy Bake Oven when I was younger. One of our favorite family activities is just walking around and spending a day at City Park. Sometimes we even take the streetcar there to make it even more of an adventure for our toddler! One of my favorite Christmas stories as a child (still is!) is how the Grinch Stole Christmas! Love all the whos down in whoville! One of my go to gifts for friends and family is art from my kids! Sometimes I do a craft with my toddler I think they may like, and other times I let him create freely and add a frame or a candle to go with what he’s made! I think the toy I was most excited about getting for Xmas as a child was my talking Teddy Ruxpin Bear! I loved reading books with him! Love the skirts from small habit! I think my neice Josie NEEDS one of these! I’m a fan of local art and jewelry from the Arts Market at Palmer Park or if I’ve procrastinated, something from Orient Expressed. Great holiday gift ideas. Thank you. We love hanging out at the french market. Best gift was swaddles…very un-original but so needed! I have 3 furry friends I will be buying for! Small Habit skirts are adorable! when in doubt, I go for chocolate or candy as a gift. everyone likes that! I have used some of these ideas but there are a lot still left to try! I don’t have a girl but I love Nolafionna’s flutter sleeve, no ruffle trim LSU dress with the ribbon and flower! The gator shirt by Two Sprouts is too cute! We love to bring the boys to the Zoo and City Park. The Children’s Museum is another favorite hangout for us too! I would like to get an IPad for Christmas! I love anything Saints related especially some of the cute fabrics that Lisey Lu uses! Absolutely LOVE the personalized elf shirts from Lisey Lu! Love the Two Sprouts Holiday Gator shirt! Such clever gift ideas! I have always loved the Audubon Zoo & we usually get to go a couple of times per year. Pedicure was one of the best gifts I received before my second was born! My go to gift the last few years has been shutterfly calendars! This year my Christmas wish list includes running apparel and accessories. My favorite gift was a prenatal massage. We have 2 dog children that always have something in their stocking. I love Small Habit skirts and think the LSU chevron skirt would make a great gift. I loved my cabbage patch doll! Our go-to gifts for the hard to shop for in our family is gift cards or something homemade from our children. Bon Castor in Bywater has great gifts even for kids! My go to gifts are handmade, personalized stationary! We have lots of furry friends to buy for 🙂 2 cats and a dog in our house! Our favorite family activity in New Orleans is to visit City Park. It can be to have a picnic, visit the museum, storyland, the options are endless! i love all the designs! Our favorite family activity is City Park…..feeding ducks, playing on the playground, riding the train, Storyland. There is so much to do we go almost every weekend!!! We love going to the Aquarium and having lunch downtown as a family! When I was pregnant I loved all of the “care baskets” people put together. All of those wipes, bibs etc come in handy! My mom made W’s nursery bedding. It was beautiful and the perfect gift! The Small Habit fleur de lis skirt is adorable! There are so many cute boys & headbands from Yeaux Yeaux Bows. I would have so much fun picking one out! When I was little, all I wanted for Christmas was a Cricket doll. I remember being so disappointed that she didn’t actually walk. But I still loved that doll so much! My favorite childhood Christmas story is A Charlie Brown Christmas. It’s still my favorite. We love to feed the ducks with our daughter in the parks around NOLA! So many nice cool things. Can’t wait to see who wins!! I love to give my friends bottles of wine or gift cards to restaurants! I used to love A Cajun Night Before Christmas and we read it to our boys now and they love it! I love Petite Nola bag – more importantly my girls love their Petite Nola bags!!! I would love a massage! The best gift I got as an expectant mom was a little care package for me (lotions and soaps) to put in my hospital bag! I can’t wait to take my baby to Celebration in the Oaks! It’s beyond precious in person! Love these giveaways! 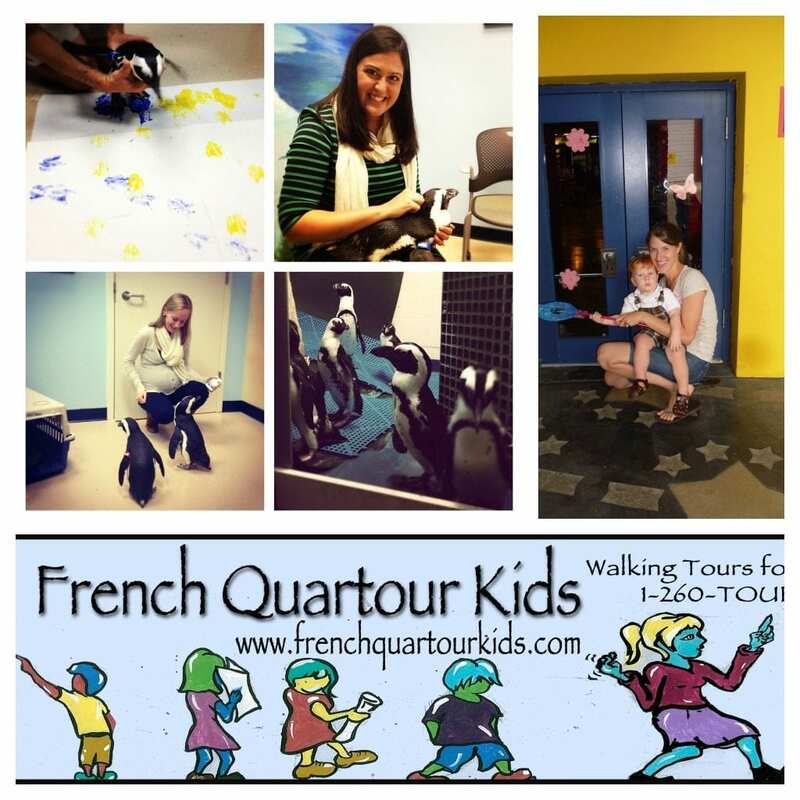 My favorite family activity around is the Zoo/Aquarium/Insectarium! My most wanted toy as a child – Barbie and the Rockers -I got the whole band and the stage set! My go to gift is lotions, candles or picture frames! 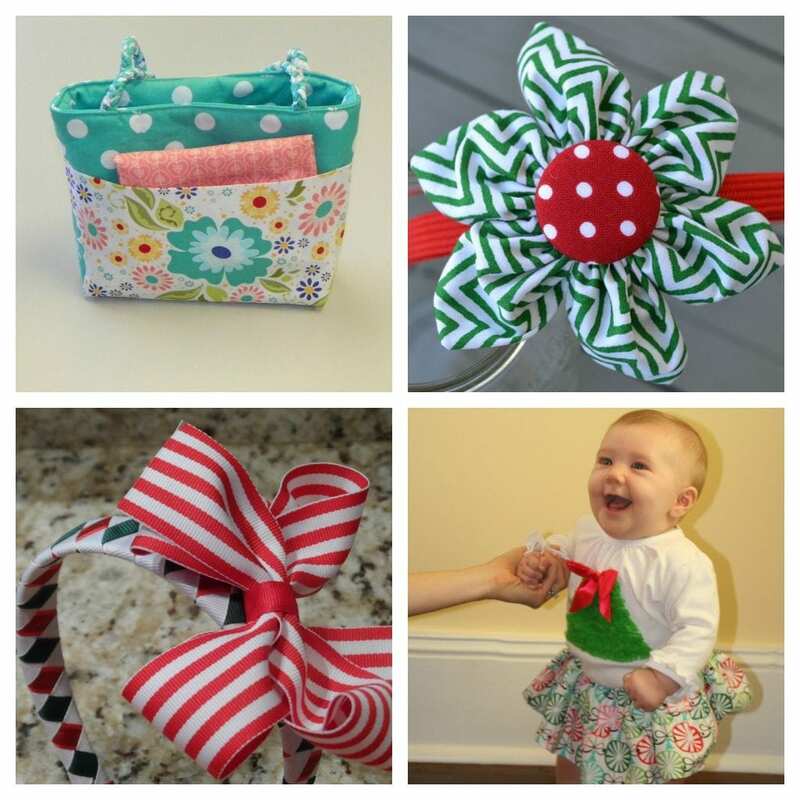 Love everything Small Habit and Yeaux Yeaux bows! It’s always a hard decision choosing items from these two ladies! Ever since Katrina, I make it a point to buy the majority of my Christmas gifts locally (really, I try to buy all gifts for any occasion locally). It’s not as hard as people might think to avoid shopping malls and big box stores and still cross everyone off their list. I’m so happy to see y’all promoting it too! Everything looks amazing!! Can’t wait to shop NOLA! 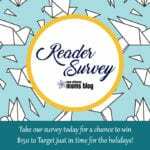 I would love the Tasc Performance giveaway! My babies would look so cute in the Lisey Lu & NolaFionnah giveaways! Thanks for introducing us to all these wonderful places. I love reading about all the local businesses. My favorites are The Zoo, Nola Maternal Instincts, Small Habits, Yeaux Yeaux Bows, Little PNuts, Let’s Party Nola, Zuka Baby, & the dinner delivery services. I love them all. Thanks for giving us ideas this Christmas & for birthdays throughout the year. ShopNola has allowed me to scratch a few names of my shopping list already! Amazing products from local businesses! Thank you for sharing all of them and for the great giveaways! 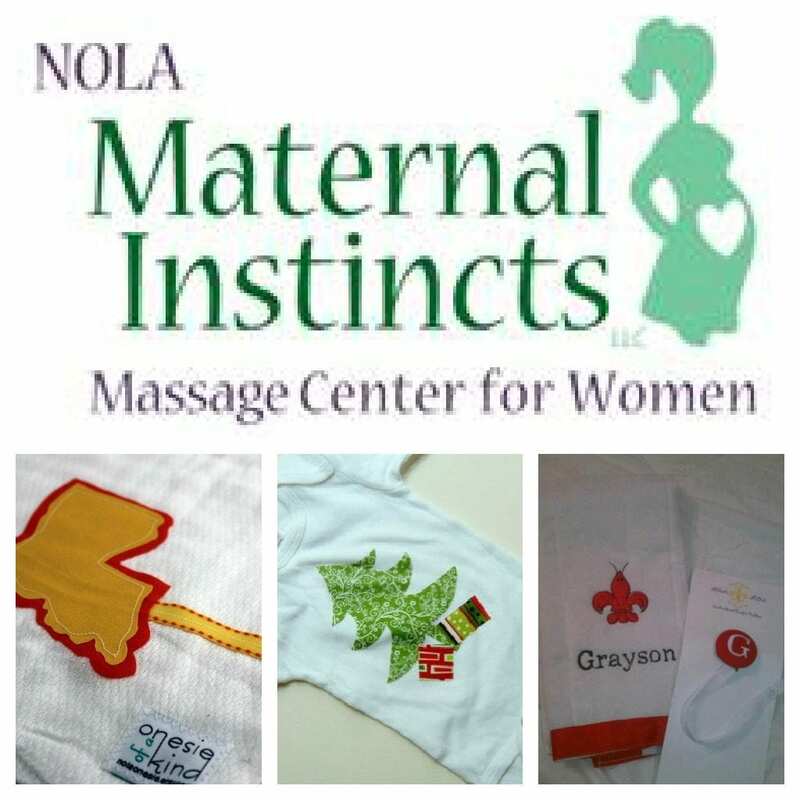 I love the Mardi Gras Indian onesie at Two Sprouts! We love spoiling our two huskies at Christmas! I love the Polar Express but look forward to finding some favorite New Orleans themed books! the Lisey Lu, Nolafionnah & Two Sprouts websites are great websides to find the perfect gifts this holiday season…..enjoy your shopping everyone! My kids love the Zoo and I would love to take them back to the Childrens Museum or City Park!! My Christmas list now includes anything from MetryChick! The Night before Christmas…..always my favorite Christmas story!! For hard to buy for folks, I also like to give homemade desserts. Oreo cake balls are my specialty and are always a huge hit! They are all so cute! I love this! Love going to the zoo! Love Celebration in the Oaks during the holidays! Love, Love, Love the Elf on the Shelf shirts!!! I want it all! ! I am truly excited about all if your offers and think you guys are AMAZING! Thanks so much for putting all of this together! Our favorite thing to do in NOLA spending the day in the French Quarter walking around the French Market, seeing the boats on the river and usually end up at the Aquarium!!! FUN FUN FUN!!! I would love to find out how to get you a fun product and get involved with your next round of New Orleans giveaways! I LOVE creating and shopping with the locals! I like the streetcar toddler shirt on two sprouts website. 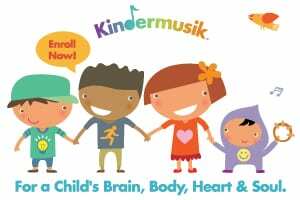 I love it for my kiddos. my favorite holiday activity in the city is going to christmas parade and block party downtown. i like the alligator shirt… My little man would look great in it! I will be buying a present for my pup. I am slo hoping for a new puppy. How does one choose from all the great gifts from Small Habit, Yeaux Yeaux Bows, Little Touches and Petite NOLA bags. That one special toy I recieved during my shildhood was my Cabbage Patch Kid doll! childhood Christmas story: The night before Christmas! My Christmas list : New Jeans, and a massage!!! Receiving the ITZBEN when I was an expectant mom was amazing! I loved that thing. Our favorite family activity (so far) is definitely the zoo! The new Nolafionnah Christmas dresses are precious! The zoo is definitely one of my favorite family activities around NOLA. My go to gifts for your friends and family that are hard to shop for are gift cards… not very original! As a mom, new running shoes is on my Christmas wish list? As a mom, new running shoes is on my Christmas wish list. The best gift I remember receiving when I was an expectant mom was books that we still read over and over. i love nola fionnahs pelicans! I would choose to give a Yeaux Yeaux Bow flower headband to give as a gift. I love their bright colors. I remember white skates with pink wheels was that one special toy I just had to have when I was a child at Christmastime. I like to make gifts like homemade vanilla extract, bath goods, or jam for people who are hard to shop for. My favorite childhood Christmas story was the Cajun Night Before Christmas. gift certificates to Sew Fabulous are on my wish list! There’s always something yummy for the pets! Very hard to choose one favorite gift while I was expecting. I got a lot of nice things! Both of our parents put in together and bought the nursery furniture (crib, dresser, changing table dresser, & nightstand) so that was definitely a favorite & super helpful! I love small habitat’s skirts! my daughter lives in those things! I wanted a strawberry shortcake bicycle! The nativity story, of course. I really like Lisey Lu’s Christmas Alligator design!